Shopping for tomato sauce is so discouraging. Basically, you’re given the choice between a $3.00 salt and sugar-laden, super processed, yet still watery sauce, or an “artisan” organic sauce for $10.50 which still has traces of preservatives. As you’re debating between these two and the myriad intermediate options, the grocery store employee comes up to ask you if you need help with anything. You answer, “no”, but you’re really thinking, “sure, if you’d like to pitch in and assist me in reading every ingredient on every jar, then calculating which of the frontrunners is the best value.” Just me? Let’s just be honest and not try to beat around any bushes: really good, slow-cooked marinara sauce (or “gravy” as they call it around these parts) is just that–slow and pretty time consuming. Like, half a day time consuming. In real life, unlike on my favorite Food Network shows, cutting and seeding six pounds of tomatoes realistically takes about a half hour. This sauce came to be when I happened to have an abundance of free, fresh tomatoes in August (thank you, Mom’s coworker), and I’ve stuck with using fresh because the taste just can’t be beat. But, as extra motivation for making your own sauce, and as good fresh tomatoes become scarce, you could cut down by an hour if you use canned, whole, peeled tomatoes (see recipe notes for my suspected equivalents). In defense of spending a quarter of your weekend at the stove, it can be a really therapeutic activity, with you and anyone else in your house just relaxing and taking in the smells of tomatoes stewing and reducing with plenty of garlic, lots of hearty mushrooms, and a little red wine. 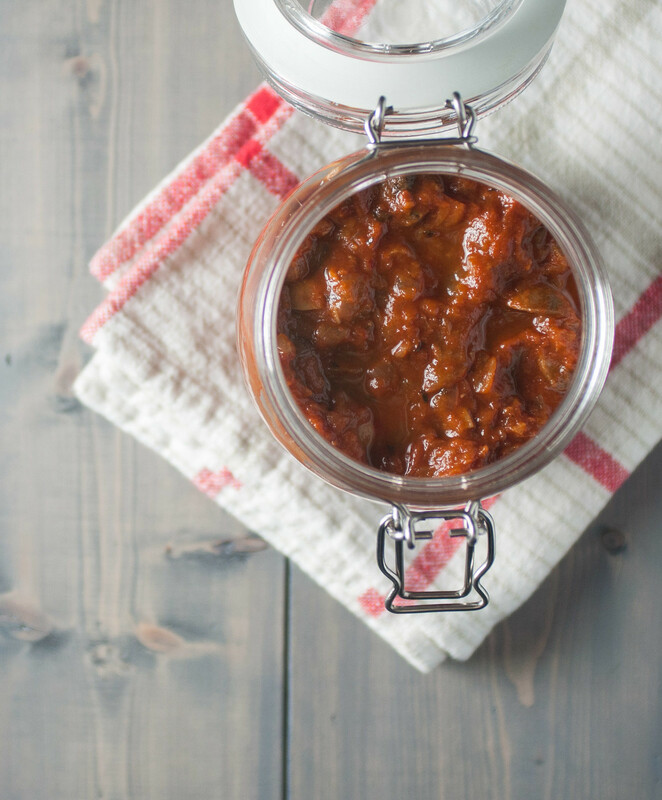 Grab a book or magazine you’ve been meaning to get to, set the kids free in the backyard with a rake (my vision of what it’s like having children), fix a little snack and beverage to enjoy as you fully immerse yourself in crafting a couple big jars of an entirely plant-based, soul-warming marinara. 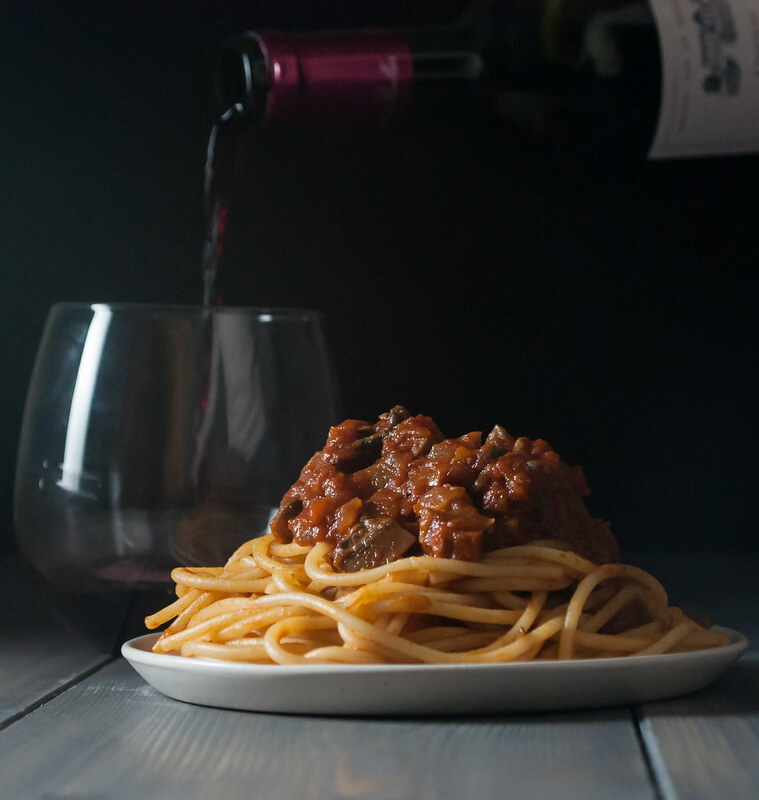 Even if you’re the farthest thing from it, you might even feel a little Italian–if that’s your goal. In a spaghetti squash pie. 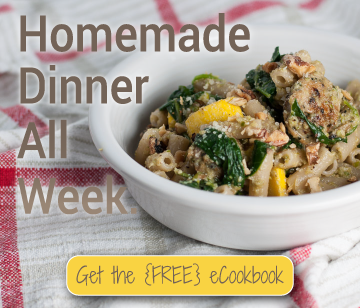 You’ll find a recipe on this very blog in the next couple weeks! Mixed with chickpeas or white beans, and topped with some feta, goat cheese, or parmesan. In non-recipe news, my cold or allergies or whatever it is is going on three weeks–ugh! I’m the type of person who despises the relaxation that comes from being sick. It’s been like this since I was just a mini person, I think–I have a fear of getting off of my routine or to do list and being permanently behind on life thereafter. I’ve been trying really hard to just relax and breathe, sometimes by force, but I haven’t lost my appetite, I’m still cooking, and I really want to keep sharing recipes on the blog! It’s been all I can do to just get posts up, and photography learning and administrative stuff have been put entirely on hold. This post has actually been like five days in the making–I finished the recipe development Tuesday. Why is it so hard to focus on photo editing when my sinuses are full? Regardless, I’m happy to finally get it out to you, and I hope you can work it in to your cooking plans soon. It’s the ultimate healthy fall comfort food, in my opinion. And yes, I will say that about every recipe I make from now through November. There's no question that this sauce is a step up from any mass-produced store-bought variety. The end result is deep and complex, with the tomatoes reduced down to their sweet, acidic essence. Preheat oven to 425 degrees. 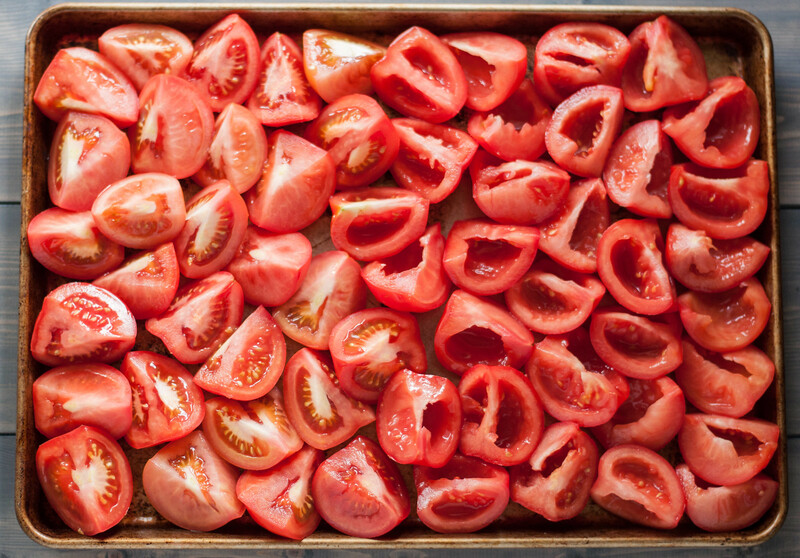 Cut each tomato into quarters, then remove the white core in one angled cut. Use fingers to scoop out the seeds. Place on a rimmed baking sheet, face up, and sprinkle with Kosher salt. Add ¼ C water to the pan and cover with foil. Cook for about 20 minutes. Remove from oven and rest for 10 minutes, covered in foil, while you prepare the other ingredients. Chop the onion small and mince the garlic cloves. Set aside separately. 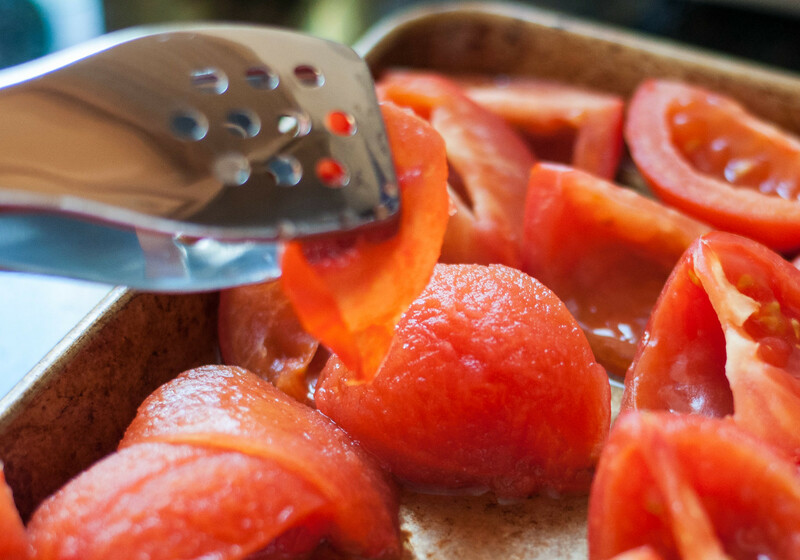 Use tongs or your fingers to pull most of the skins from the steamed tomatoes. Discard skins (or let me know if you have a use for them!). In a large pot, heat enough olive oil to cover the bottom of the pan, over medium high heat. Add the onion and cook until just beginning to brown, stirring occasionally. Add garlic and cook for another couple minutes, allowing to fry and darken slightly. Stir in the red pepper flakes and tomato paste, and cook for a couple minutes, until the paste is incorporated. Add wine and simmer until mostly reduced. Add tomatoes and water from the tray, mushrooms, tomato sauce, 1 C water, and dried basil. Bring to a low boil, then reduce heat to a simmer and cover until mushrooms have softened to the point that they’re edible, about 15 minutes. Remove lid and continue simmering, until sauce is over 50% reduced—it should be thick with very little water left and starting to stick to the bottom of the pan between stirring. Mine took about 2 ½ hours. Season with salt and black pepper if needed (check first—the mushrooms and wine add a lot of flavor). Use immediately, store in the refrigerator for a couple days, or freeze until needed. 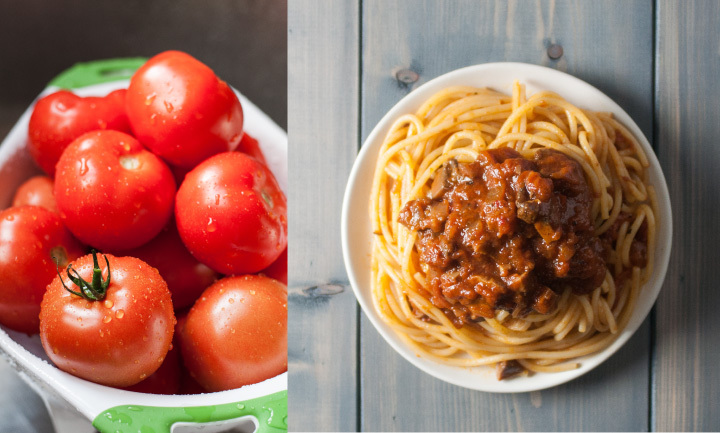 To use canned tomatoes, substitute three 28 oz. cans whole peeled tomatoes, with their liquid, roughly chopped. OMIT the tomato puree and the added water. To easily chop the tomatoes, use a butter knife to press them against the inside walls of the can. Use any type of tomato or mushrooms you like. I used standard, on-the-vine tomatoes and white button mushrooms, which are most cost-effective. I have always been lazy and store bought my pasta sauces. 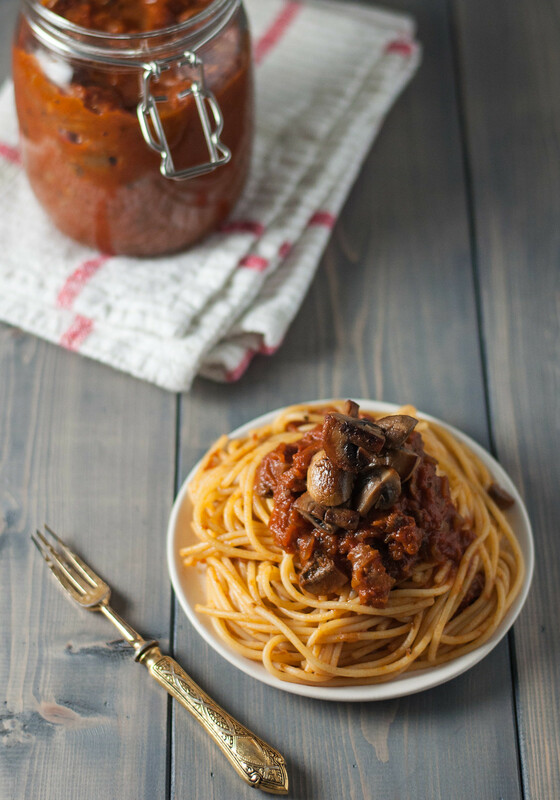 This is definitely going to change as you have inspired me to make my own – and I will start by making your mushroom marinara sauce! Awesome! I must admit, I sometimes buy, but this is the way to go if time permits. Hi there, while I do appreciate you taking the time to read some of this post before commenting, Natural Comfort Kitchen is a place for positivity. I welcome everyone’s viewpoint, but please try to express yourself in a way that acknowledges and appreciates the fact that everyone coming to this blog has a little (or a lot) different outlook. I think we all have something to learn from each other, personality (and shopping style) differences aside. Not just you, Tessa. I read the ingredients closely while also paying attention to value, before selecting what I’m putting in my kids. That’s why I’ve chosen to make my own sauce on most occasions. Thanks for this awesome new recipe to try! I made this an it was out of this world! Only made two change ups browned my mushrooms that is the way we like them and using the last of my basil plant I brought in for winter. Going to make this again today still have fresh basil, forcast is for snow today. This is not that expensive to make considering the health benefits and product amount. Apples to apples I guess. So happy you tried it! Perfect project for a snowy day. Thanks for sharing your changes–if my basil plant doesn’t keel over soon, I’ll give that a try next time. Kristy, I would use canned whole tomatoes, as canned sauce has already been cooked/blended down and doesn’t stand to gain as much flavor from the wine and mushrooms. My exact substitution (3 large cans, with liquid) is in the recipe notes above. I researched the quantity thoroughly, but I haven’t tried it with canned, so if you follow that substitution please do let me know if you make any other adjustments. Susan, that sounds like it will be amazing! Am going to try it but not till next summer when my tomatoes come in…store bought are expensive and crappy. I just made this sauce for the Spaghetti squash pie dish. I just want to say thank you for your sauce recipe. I love how much of the chopped mushrooms it calls for. I don’t miss the meat in the sauce. 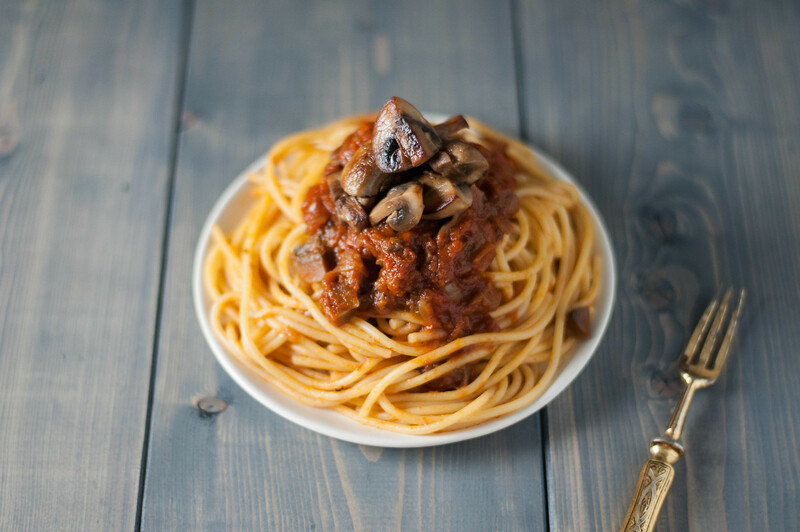 ( I was never a big fan of meat sauce anyway) I do think that people who just HAVE to have meat sauce.. the amount of mushrooms is a great replacement.